Give your dog the perfect hairdo and a glistening coat, or make a dramatic fashion statement, using some of the many Pet Head grooming products available at the Posh Puppy Boutique. Your pet’s skin gets dry and irritated on hot summer days, just humans. “Life’s an Itch” ($18) is a pet shampoo designed to relieve skin irritation caused by dry skin and insect bites. Key healthy ingredients are oatmeal and aloe vera to soothe the skin, tea tree oil for hair purification, plus wheat protein plus vitamins and chamomile to nourish the skin and condition the coat. “Feeling Flaky” shampoo ($18) helps rehydrate your pet’s coat. Designed for those with sensitive skin, it contains yucca and chamomile extracts and silk proteins to soothe and nourish the skin, plus shea butter and vitamins to prevent dryness. “Dirty Talk” shampoo ($18) helps clean your pet and neutralize noxious odors. It uses baking soda and ordenone for cleansing and deodorizing plus vegetable and soy protein for a fuller looking coat. When bathing time is short, give your pet a bath with “Quickie” quick rinsing shampoo ($18). It has a mild, non-drying formula and a long-lasting scent for a fresh and clean coat. 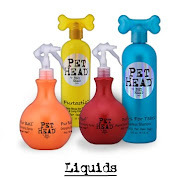 For an even faster “bath,” mist your pet with Pet Head’s “Dry Clean” waterless spray shampoo ($18). It cleans without water making it perfect for trips and quick fresh-ups. Cats will like “Feeling Frisky,” a waterless shampoo ($12) designed just for them. Just spray and brush then your cat will have a clean coat. Pet Head also has other grooming products just for cats: Purrtastic skin soothing shampoo ($12) with a passion fruit scent and Pretty Kitty detangling spray ($12) to detangle knots. Give your dog a decidedly different look using Pet Head’s Color Me Bad Woofalicious Pink Dye ($15) or Color Me Bad Barkin Blue Dye ($15). Both are temporary hair colors designed just for pets. Don’t just bathe your pet, massage them and groom them with a Pet Head brush. The Super Slicker brush ($18) is great for general use. The Undercoat Rake ($14) removes loose hair and knots with ease. Once your pet is clean and ready to go, top their head with a Wizard Dog pet hat ($75) featuring emerald greens, plush turquoise, rainbow-hued feathers and bold bow accents. 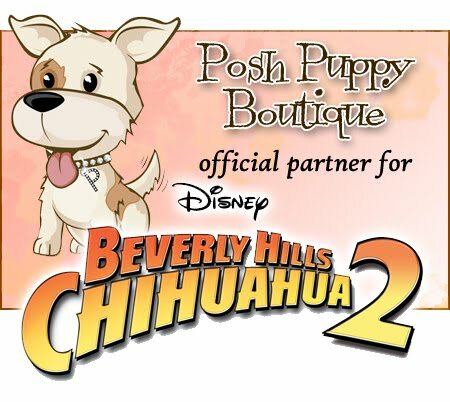 These and many other pet grooming products are available now at the Posh Puppy Boutique. Call 888-837-5230 with any questions.